Life, sometimes, can be a bit adventurous. Like for myself, this time last year, I would have never thought about where I should be now and things just happened with efforts and hard working. Well, I personally believe that everyone may have experienced the same scenario at some stage. Business are much similar to a person’s life; there are always up and downs but rewards are always given to the ones who have prepared well. Recently, I had a great dinning experience in a young Japanese restaurant who specialise itself in fusion Japanese cuisines. Ginza Miyako, opened some four months ago, kindly invited us to taste their new menu. Imaged themselves as an Japanese French fusion restaurant, the venue attracted lots of attentions since opening. Being a part of “Taste of the Orient” group which owned the famous Ginza in Unley, Ginza Miyako is different to the style of Japanese restaurant as how we think. To put it simple, Japanese cuisines have developed into three main streams, including the traditional classic Japanese cuisine, the French-Japanese cuisine and the Taiwanese-Japanese cuisine. All these three streams cover the whole image of Japanese cuisines world-wide, especially with the last two streams, different cooking skills and techniques were mixed into the dishes. 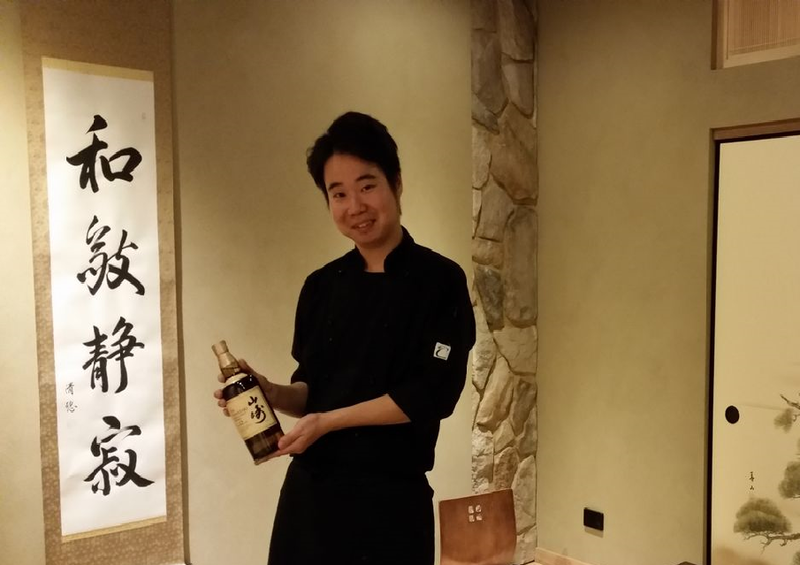 With the headchef, Kazaki Ushiro, being trained in French cooking, Ginza Miyako should be classified as the French-Japanese cuisine. 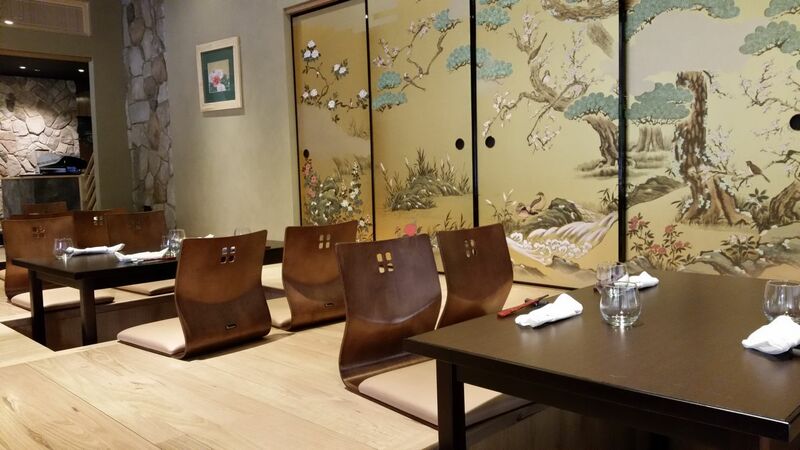 The interior decor of the restaurant is classic Japanese with traditional music. To me, it’s a relaxing atmosphere, although some of you may think it has a strict dress code. Well, that’s might just be me – I like everything classic, no matter its European or Asian. The restaurant is separated into two parts – one part being modern while the other remained traditional. We decided to be seated at the traditional section. 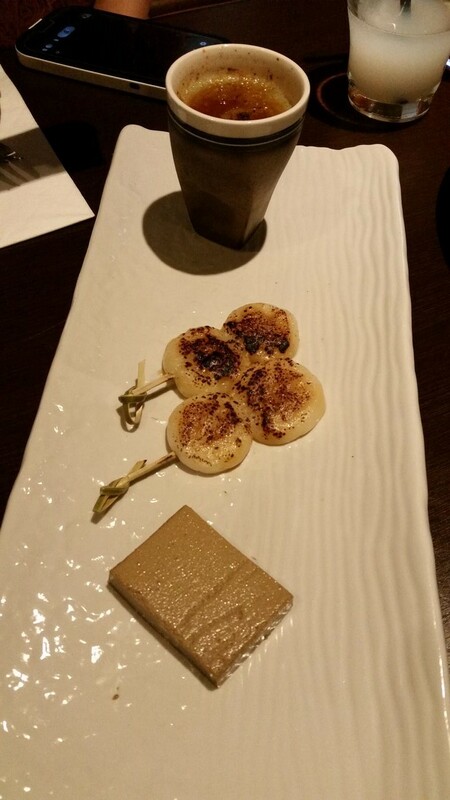 As how Ginza Miyako present itself, the menu focuses on fusion French-Japanese cuisines. With an extensive amount of dishes to be chosen from, diners can definitely experience the goodies of this stream of Japanese cuisine. If you are a wine lover, I recommend you to try some of their reds or whites which featured many of our beautiful South Australian wines, including ones from McLaren Vale and Barossa Valley. Both Tina and myself fell in love with this entree dish. While I had many venison dishes, this is the best, not only because they used a tataki cooking method, but also the sauces the chef has introduced. I did tataki at home myself so the technique was not new to me but the balsamic soy and ume sauce really rang the bell. When dealing with venison, most chefs try to avoid its game flavour by covering it or neutralise it. However, this dish enhanced the flavour of the meat by introducing the balsamic sourness. The end result was impressive! With such tender pieces, the flavourful meat was easy to cut and to enjoy. Decent flavours of the venison were experienced with a touch bitterness, sweetness and sourness. All these flavours combined very well and promoted the meaty taste. What a fascinating feeling? A good Tempranillo is recommended to be enjoyed with this dish. This was Tina’s favourite dish of the night. Although as an entree dish, the serve was quite big. 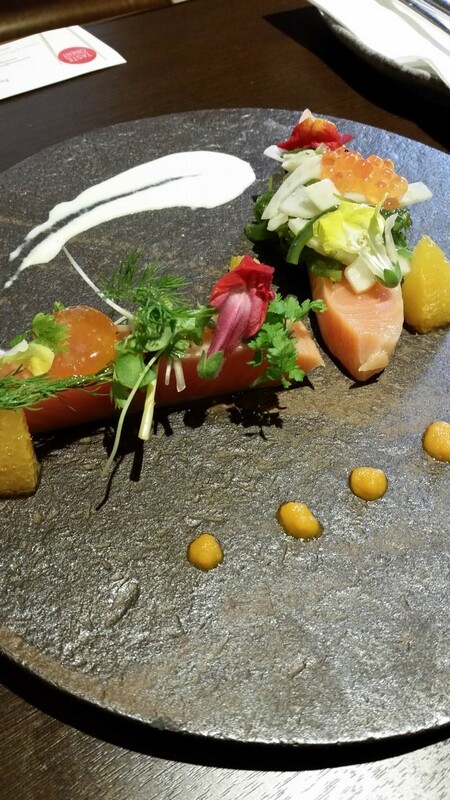 The trout was cured with orange and cooked at 55 oC in oil. This is not an easy process. My regular readers may still remember how I went with my confit toothfish, well it is a time consuming cooking technique. On the other hand, this cooking method is one of the healthiest among many others, mainly because all essential oils and omega 3 has been preserved inside the fish during cooking. What also brought my attention was also the egg yolk on the left corner of the picture. It was cured with sake and other ingredients for 3 days. The chef must be very caring for its customers and reputation. As I mentioned in other posts, confit fish is nutritionally healthy as well as being tasty on the palate. One can easily melt a big piece of this fish inside their mouth without much effort while still experiencing the layered flavours that are released during the digesting process. Well done! 😀 A cool climate Margret River Sauvignon Blanc can complement the dish well, especially with lots of ripeness. South Australian produced duck breasts are always popular in restaurants. No matter where you go, you will almost find this dish everywhere. 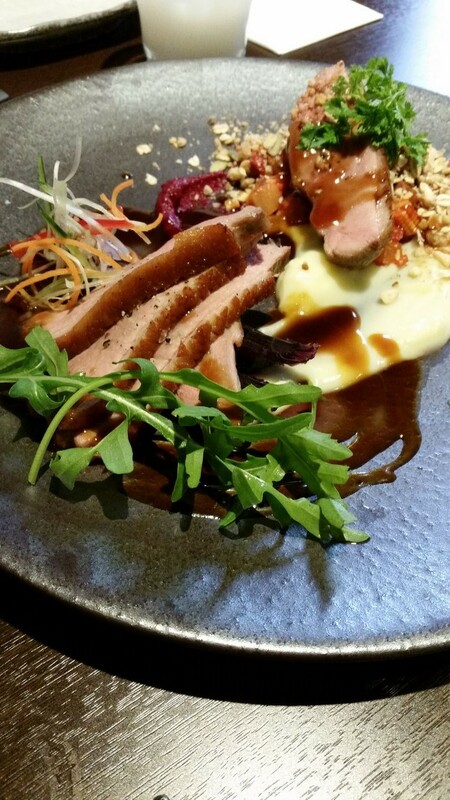 This duck breast dish was cooked to perfection with the inside being pink and the outside was crispy. The flavour was awesome too. 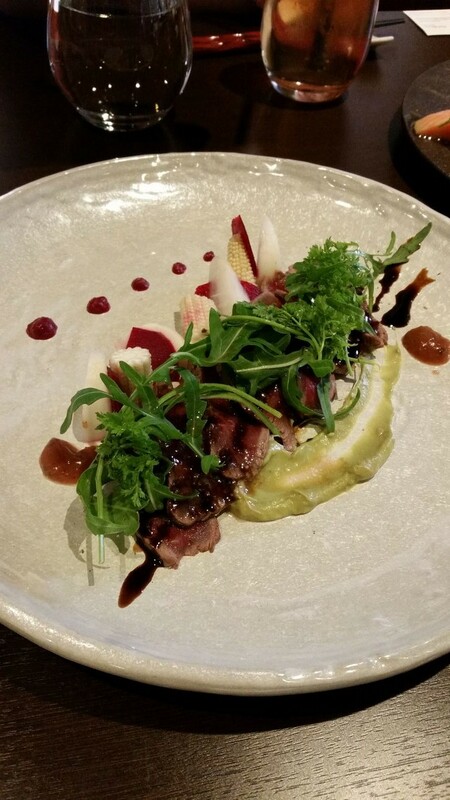 The teriyaki sauce and the beetroot puree really added bonus points to the dish as they both complemented the meat very well. The roasted peanut introduced extra crunchiness to the mouth-feel, making every bite being fragrant and tasty. I recommend to pair this dish with a fruity chardonnay which can further improve and penetrate more flavours of the duck breast out. A good wagyu scotch does not need further introduction or explanation. The wagyu steak used in this dish had a marbling score of 7. I am always a fussy taster when it comes to wagyu, no matter it’s a dish in a restaurant or something I enjoy at home. 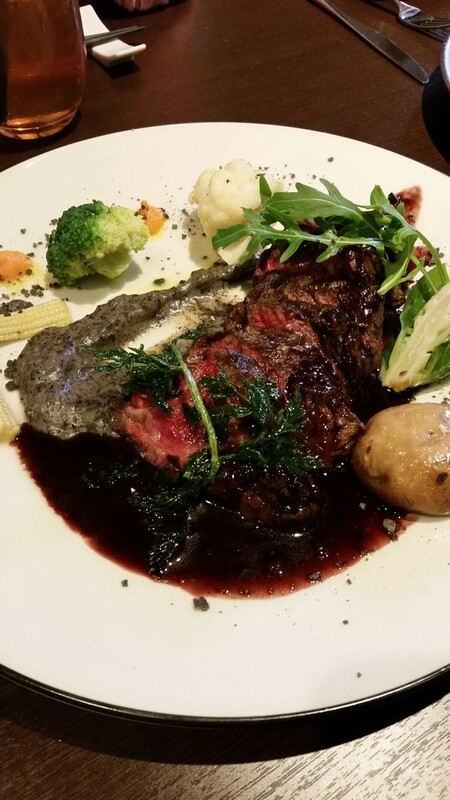 This wagyu steak was of high quality and melt directly once in the mouth. The flavours of the meat diffused onto the palate while being enjoyed on its own. The sauce used here was a red wine yuzu chilli sauce. I tried the chilli on the night – it was not so hot but was quite moderate. Falvour-wise, the yuzu chilli added complexity to the palate and the meaty flavour can stay longer on the palate with the sauce. If you think it’s too hot, the brussels sprout can act as a neutralizer but I recommend you to have some Shiraz at this point as your lovely wagyu beef can leave some excitement with the wines. Highly recommended dish. At this point, both of us were full. Wait a minute – there are still desserts. This dish is pretty traditional with a modern twist, especially with the flavours of the baby rice cakes, which had this sticky and chewy texture on the palate while the roasted sesame was pretty flavoursome. I recommend the dish should be enjoyed in the order of the baby rice cakes, followed by the CRÈME BRÛLÉE and then roasted green tea panna cotta but you can decide whichever order you prefer. A good sticky wine can be used to pair with the dish. This is a quite modern dessert dish. Fresh strawberries and layers of creme were beautifully presented. It was served with Japanese plum wine sauce which added elements of Japan and the addition was actually quite good because the plum wine had a hint of sourness which reduced the effect of creme on the palate, making the dish very refreshing. 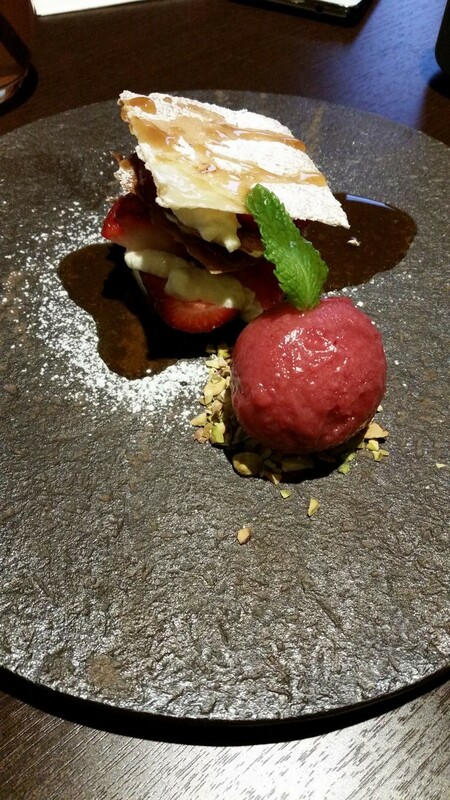 The rhubarb ice cream acted as a palate cleanser to wipe away the rich flavours of the mains. Overall, the experience at Ginza Miyako is top notch, from both the delicious food and the attentive services. Being hidden away on the first floor of Stamford Adelaide, the restaurant still attracted reasonable amount of diners and it’s glad to see their services were kept high standard. All the dishes shown in the post fit very well into my personal tastes. Why not come try them out yourself? 🙂 The restaurant currently has an half-price promotion for five courses with wine for two for $90. Very good value! What a great review! This one is on my radar now. Good write up. What are the price tags for these dishes? Cant remember for the mains now. For entree, I think the venison is $19 and the confit is $16. G’day! Great review Xin! Ginza Miyako has been on my list to experience too! Just not very convenient with the parking situation when dining with friends! Miyako offers free parking ticket (or cashback) if you park at Wilson’s parking on Hindley street! Tried this restaurant when they first opened. The decor made us feel too formal though. This new restaurant seems really nice and the food looks delicious! Especially the ocean trout confit which was even made better with the carrot purée added. Great review!